Tyrese has been having a tough time lately, what with all the Fast & Furious Feuds (FFF) he’s inserted himself into and whatnot. But behind the languorous TMZ interviews and Dwayne Johnson-slamming, the actor/singer has also been embroiled in some much darker fare, namely: Trying to regain custody over his 10-year old daughter after his ex-wife, Norma Gibson, alleged that he was physically abusive and filed a restraining order against him. But none of those were quite so creepy as his misguided overture on Saturday night, when he dedicated a (modified, but still) version of Marvin Gaye’s classic “Let’s Get It On” at Atlanta’s R&B Super Jam to his child. Tyrese did go to the trouble of swapping out the lyrics “let’s get it on” with “baby won’t you stay, Shayla,” but mostly it was still a weird move that rightfully squicked a lot of fans. 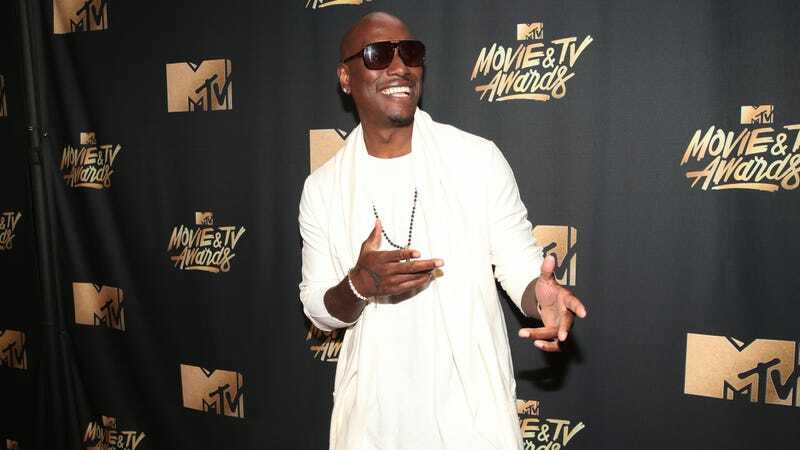 A judge recently modified Tyrese’s restraining order to allow him a six-hour monitored visit with Shayla on Sunday. Hopefully she did not catch the cover.